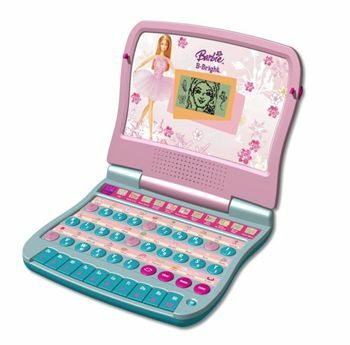 The Oregon Scientific HB68-06 Barbie B-Bright laptop v 4 allows children to play while learning essential preschool and kindergarten skills. The 12 fun filled learning activities teach your child shapes, colors, letters of the alphabet and the vocabulary associated with them. 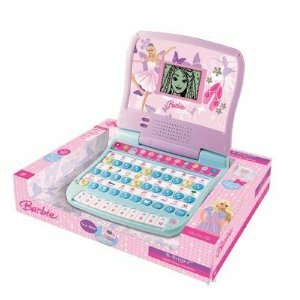 This laptop also teaches numbers and helps build counting skills and simple arithmetic. 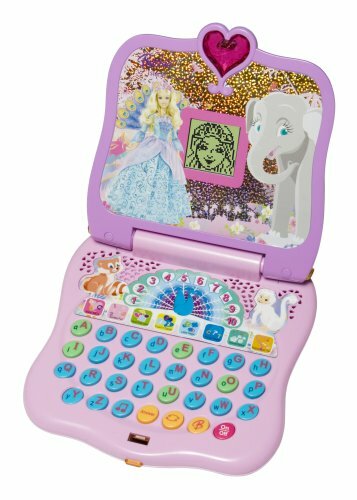 The HB68-06 also features play-along and create-your-own music melody maker, as well as a cool LCD screen with amazing new animation.